The second series of The Durrells started last night, bringing with it the warmth of Corfu and that wonderful, feel-good factor so important for Sunday nights on the telly. If you love the show and all things Greek, imagine what it would be like if you moved there yourself. That's exactly what Mr Grigg and I did for a year. We even had our own Spiros protecting our backs. 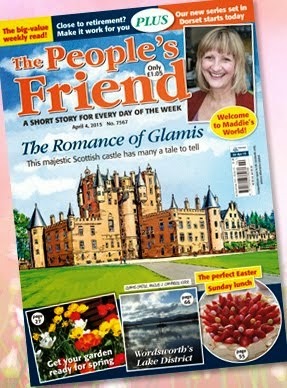 You can find out more in the May edition of Saga magazine. 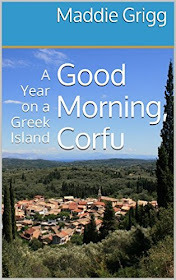 And if you can't wait for episode two, here's a link to my book, Good Morning Corfu: A Year on a Greek Island. 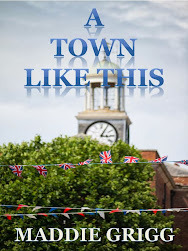 You can download it straight to your Kindle and it's also available in paperback. Soon, I'll be back there on that magical island, gathering material for the sequel. Because, just like Gerald Durrell, I'm planning on writing my very own Corfu Trilogy.